He has successfully renewed his professional medical license from the General Medical Council, UK, where he has been active since 2013. He is based in Athens. Speaker in various Greek & international conferences. 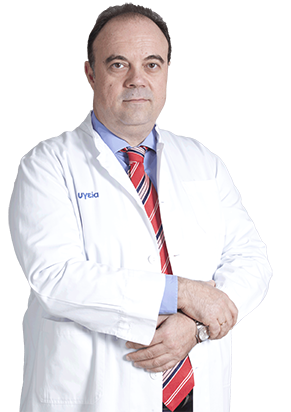 He has had articles published in foreign scientific medical journals and has written the chapter “Endoscopic Plastic Surgery” in the book Laparoscopic & Minimally Invasive Surgery (In Hellenic Surgical Society [Ed.] Laparoscopic & Minimally Invasive Surgery 2002, Chapter 51:p555-566). He has also written the chapter “Palmar fasciectomy and keloid formation: a case report,” in Countess of Chester Hospital Br J Plast Surg, 1999; Vol 52:p593-594. His views and proposals for Breast Reconstruction following mastectomy are included in the book entitled National Guidelines in Breast Surgical On-cology (2013). It is the first comprehensive effort made in Greece to record the national guidelines for breast oncology, based on documented medical options and the specific conditions that apply in Greece. Reviewer for the British Journal of Plastic Reconstructive & Aesthetic Sur-gery since 2006. Hellenic Surgical Society awards in 1991 and 1992.